While on an expedition in 1602 for the Count of Monterrey, Spanish explorer Sebastian Vizcaino bestowed the count’s name on Monterey Bay and the Monterey Peninsula, and named the point at the southern entrance to the bay Punta de los Pinos, Point of the Pines, a fitting appellation for the tip of the Monterey Peninsula with its covering of Monterey Pines. 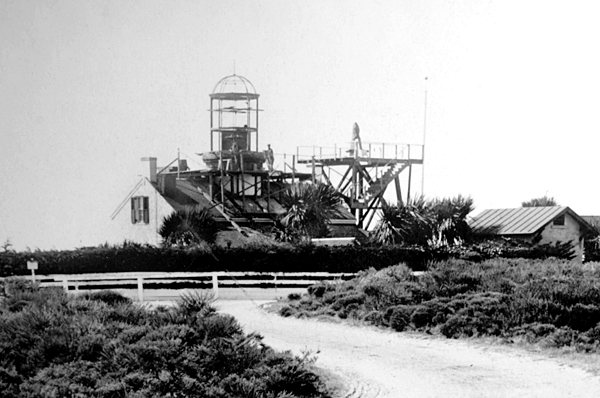 Constructed under the guidance of Francis Kelly and Francis Gibbons, Point Pinos Lighthouse was included in the first batch of eight lighthouses planned for the west coast, and like most of these early lighthouses, it too consisted of a one-and-half-story, rectangular keeper’s dwelling with a tower rising through its center. The stone lighthouse commenced operation on February 1, 1855, and following the destruction of the original Alcatraz Lighthouse in 1909, it became the oldest active lighthouse on the west coast. A second-order lens was originally ordered for the tower, but when it took too long to arrive, the third-order Fresnel lens intended for Fort Point Lighthouse was used instead. This third-order lens, which was manufactured in France by Henry-Lepaute, is still used in the tower today. I regret to say the result of this cursory examination was entirely unfavorable to the point now occupied. It answers neither the condition of a coast light or a harbor light as fully as it might. ...The light is soon lost sight of in approaching Monterey, due in great measure to the interposition of trees, the light having been built just at the edge of, if not within, the woods. Whenever I have the means, by a proper survey, of determining the space from which the trees should be cut to give full effect to the light throughout the entire arc of visibility called for by the position and elevation, I will have them removed. Bache felt the lighthouse should have been built closer to the shore, and he made a drawing to illustrate how Monterey Pines practically surrounded the lighthouse. After the lighthouse had been in operation a few years, certain parties, who claimed to be the owners of the land on which it was built, “restored to vexatious proceedings” in an attempt to coerce the government into paying $8,000 for the site. 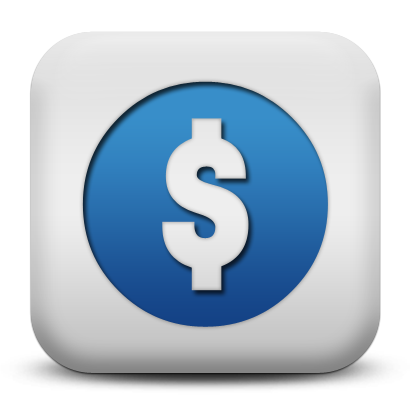 The courts ruled in the claimants’ favor, and a jury awarded the landowners $1,280. Unsatisfied with this amount, Thomas R. Hopkins and the other claimants appealed the decision, and Congress was forced to pay $6,000 in 1879 to cover damages and legal services. 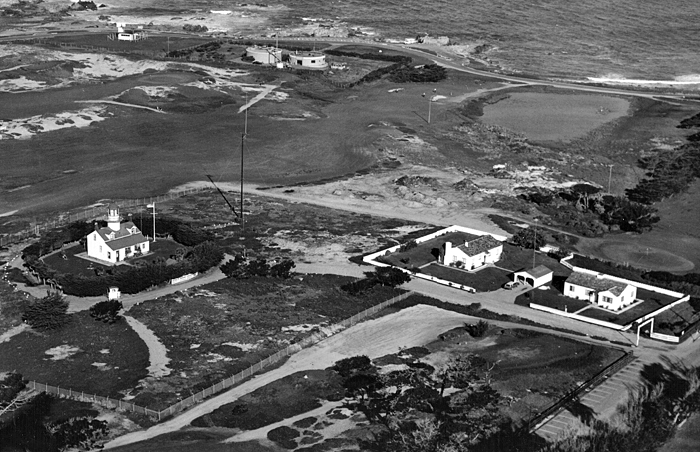 Though the government now had a clear title to the property surrounding the lighthouse, this land did not border the ocean or Monterey Bay. In 1890, the Lighthouse Board requested $2,000 to purchase a strip of land between the lighthouse lot and the seacoast so that supplies could be conveniently landed at the station. This request was repeated each year until Congress finally provided funds on June 6, 1900 that allowed the purchase of an additional fifty-two acres. In 1880, an enclosed porch was added to the east side of the lighthouse to serve as a storehouse and to protect the entrance to the dwelling’s kitchen. Three years later, mineral-oil lamps replaced the lard-oil lamps used inside the Fresnel lens. Water for the occupants of the lighthouse was obtained by capturing the rainfall from the roof and storing it in a 10,000-gallon cistern. In dry years, the supply was often inadequate and had to be supplemented by water hauled in at a considerable expense. In 1885, a pipe system, nearly a mile in length, was run from the lighthouse to tap into the Pacific Improvement Company’s water supply. By this dispensation of providence, his widow, Charlotte A. Layton and four children have been left entirely destitute. I authorized her to continue at the post occupied by her late husband, and she is now discharging all the duties of principal keeper of the Lights at Point Pinos. I take much pleasure in recommending her for the position: she is industrious and bears an unblemished reputation. 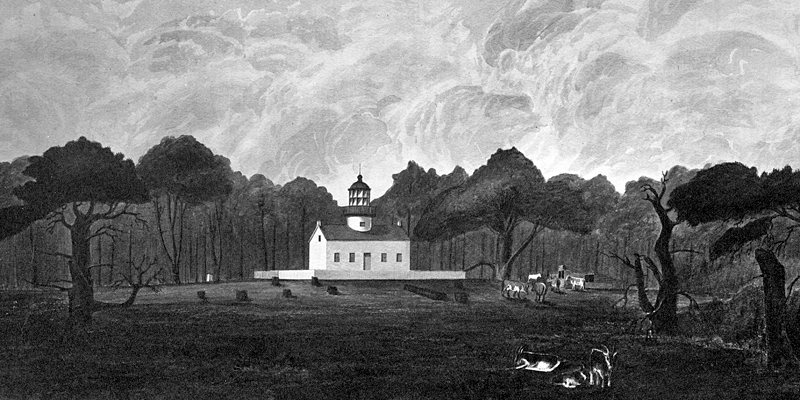 Charlotte served as head keeper of the lighthouse until 1860, when George Harris, her second husband, became keeper of the light. Fifty-year-old Emily Fish, accompanied by her Chinese servant Que, succeeded Luce as keeper of Point Pinos Lighthouse in 1893. When sixteen, Emily had traveled to China to visit her sister and brother-in-law, and during this overseas sojourn, Emily’s sister died while giving birth to a baby girl, later named Juliet. Emily married her brother-in-law and raised Juliet. 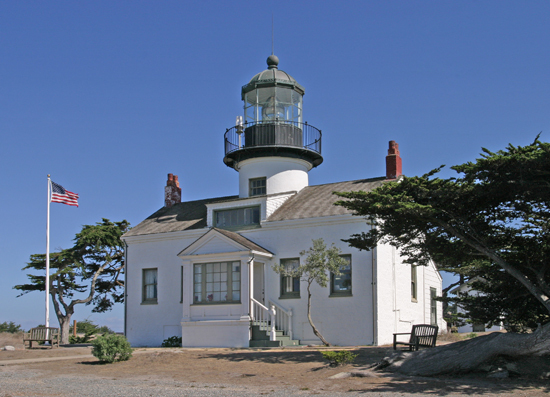 Later in life, after returning to the states, it was Juliet’s husband who, while serving as a lighthouse inspector, notified Emily of the opening at Point Pinos. Emily, whose husband had passed away before her appointment, was known as a meticulous keeper and as a congenial host to numerous guests who visited her at the light. Her fondness for entertaining led to her being called the Socialite Keeper. 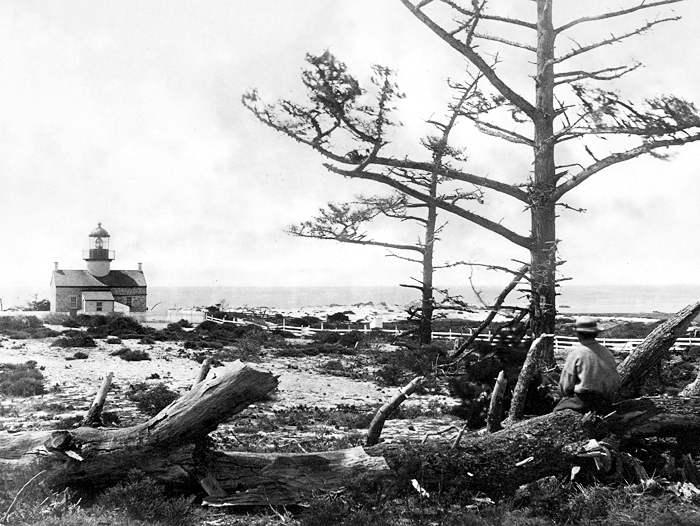 On April 18, 1906, during Emily Fish’s tenure, an earthquake shook Point Pinos Lighthouse. The station’s logbook for that date records, “At 5:13 AM violent and continued earthquake shocks jarred the lens causing it to bend the connecting tube and loosened the lens so it was movable – also enlarged the crack in the trim and coping. The jarring of the dampers caused the flame to run up.” It took two days before news of the devastating destruction in San Francisco, which was closer to the epicenter, reached the lighthouse. The brick tower suffered extensive damage in the earthquake, and after the lantern room and lens were removed, the upper five feet of the tower were torn down and rebuilt using reinforced concrete. 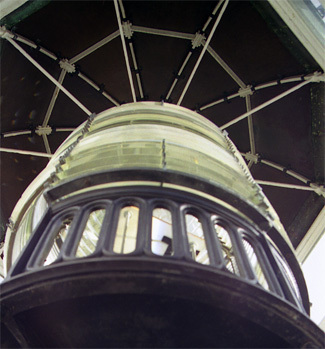 A lens lantern was displayed from atop a temporary structure erected at the north end of the lighthouse for a few nights followed by the station’s Fresnel lens, while the tower was rebuilt. The harbor of Monterey is a regular port of call for coasting steamers operating between San Francisco and Los Angeles. It is also the shipping port for large quantities of crude oil, and some of the largest oil carriers on the coast enter this port regularly. The harbor is also the headquarters of upward of 2,000 large fishing boats. Heavy fogs are frequent at this part of the coast, and at present there is no protection for vessels entering the harbor. Numerous applications have been received from shipowners and shipmasters for the establishment of a fog signal at the light station, and there is a very urgent need for its establishment as soon as practicable. The combined dwelling and tower at this station was built in 1855 and is only sufficient to house the present keeper. An additional dwelling is needed. When finally established on the point 1,600 feet northwest of the lighthouse in May 1925, the fog signal sounded a double blast every thirty seconds. 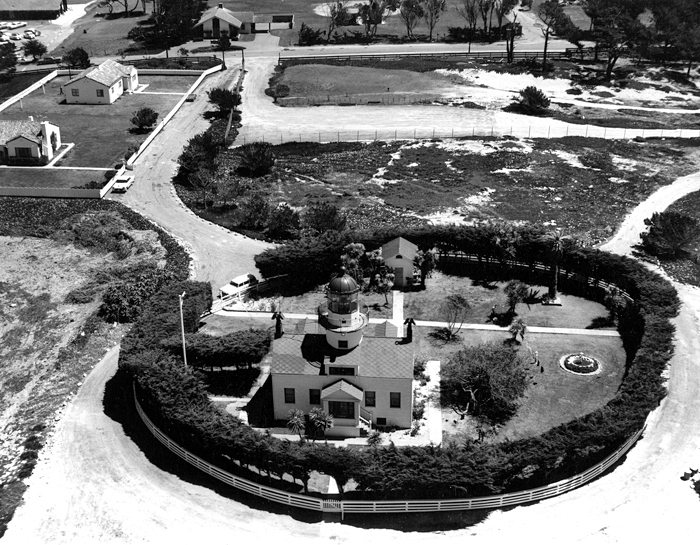 Modern residences for the keepers were built on the lighthouse property in 1939 and 1959. Point Pinos Lighthouse was automated in 1975 and licensed to the City of Pacific Grove, which opened the lighthouse through its Pacific Grove Natural History Museum. The Adobe Chapter of the Questers was very helpful in restoring the lighthouse and furnishing it with period pieces. The homey environment makes it easy to picture Emily Fish hosting a graceful evening at the lighthouse for her guests, which included artists, writers, and naval officers. Asphalt floor tiles have been removed and the original Douglas fir floors have been refinished. 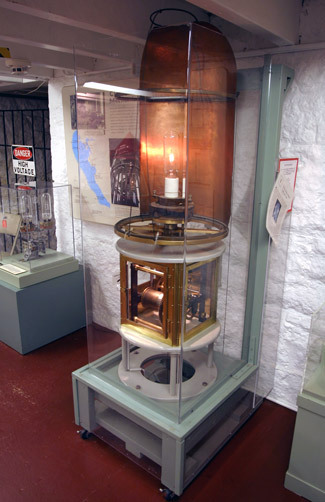 In 1998, the original eclipser, a metal panel that for several years revolved around the light source producing a twenty seconds on, ten seconds off signature, was restored and placed on exhibit in the basement of the lighthouse. 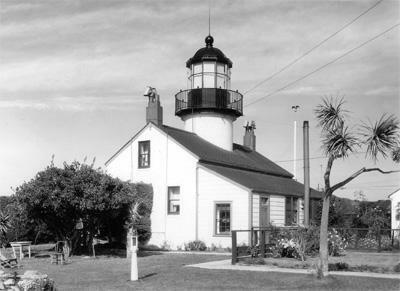 Point Pinos Lighthouse and nearly seventy acres of surrounding land were transferred from the Coast Guard to the city of Pacific Grove in August 2006. 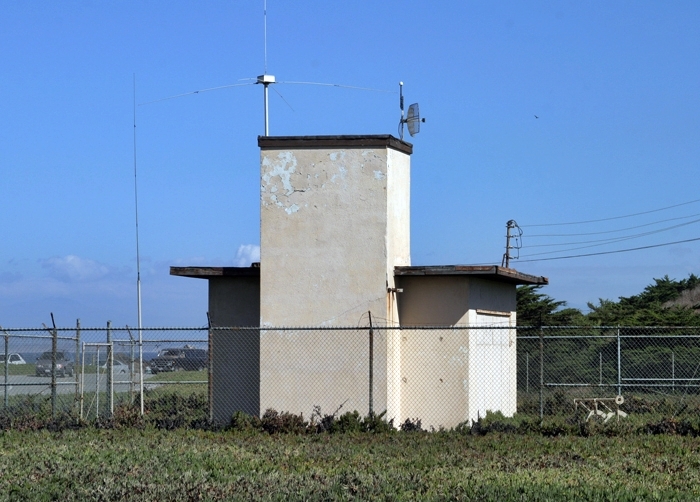 The Coast Guard will keep the two housing units on the property for key personnel and maintain responsibility for the beacon itself. Head: Charles Layton (1854 – 1855), Charlotte A. Layton (1855 – 1860), George C. Harris (1860 – 1861), Frank F. Porter (1861 – 1863), Andrew Wassen (1863 – 1871), Allen L. Luce (1871 – 1893), Emily A. Fish (1893 – 1914), John H. Jeffrey (1914 – 1919), Richard H. Williams (1919 – 1931), Peter C. Nelson (1931 – 1938), Thomas Henderson (1938 – 1955), William F. Wilkinson (1955 – 1958), Trueman Cook (1958 – 1960), Walter W. Croft (1960 – ), Selby E. Drew (at least 1965). Assistant: Isaac Hitchcock (1855 – 1859), Anson Smith (1859 – 1863), Jonathan Wright (1863 – 1864), Catherine Wassen (1864 – 1871), Daniel McLean (1871 – 1872), W.H. Wilson (1872), E.G. Parker (1872), George F. Bodfish (1872 – 1878), Asher C. Maxey (1878 – 1882), Nicholas C. Slater ( – 1900), Carl Otto (1900 – 1903), Edward O’Hara (1903), Gilbert Dillinger (1903), Charles Miller (1903 – 1904), Edward W. Breed (1904), Jose Bento (1904), William Pollmann (1904), Charles W. Strand (1904), Karl Otto (1904 – 1905), Emil H. Johuholtz (1905 – 1906), William Brennan (1906 – 1907), Edward Dahill (1907 – 1911), Victor H. Latour (1911), Claude O. Lipton (1911), Louis Bentz (1911 – at least 1912), Edward Dahill (at least 1913 – at least 1917), Mary G. Williams (at least 1920 – at least 1921), Albert M. Elston (1925 – 1935), Charles E. Hellwig (1935 – 1938), George W. Petersen (1939 – 1953), Ray Davis (1953 – 1957). The Keeper’s Log, Summer 1997. 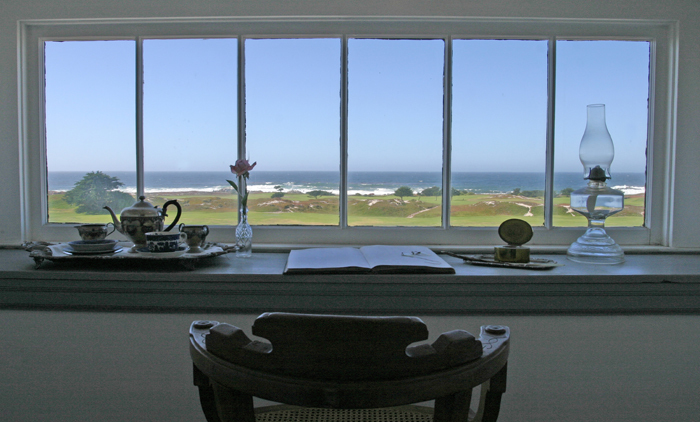 Located on the northernmost tip of the Monterey Peninsula at the western edge of Pacific Grove. 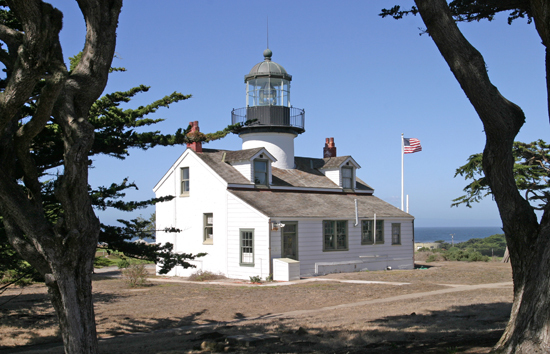 For a larger map of Point Pinos Lighthouse, click the lighthouse in the above map. From Highway 1 in Monterey/Pacific Grove, take the Pebble Beach/Pacific Grove Exit (Highway 68 West). Highway 68 is also known as Holman Highway for the first 2.2 miles, after which it becomes Forest Avenue. 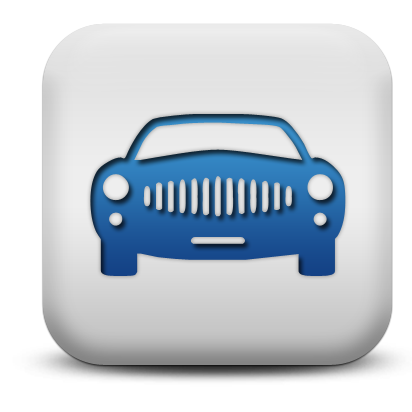 Stay on Forest avenue for another 1.7 miles, and then turn left onto Lighthouse Avenue. After 1.1 miles, turn right onto Asilmoar Boulevard, from which you can access the lighthouse. 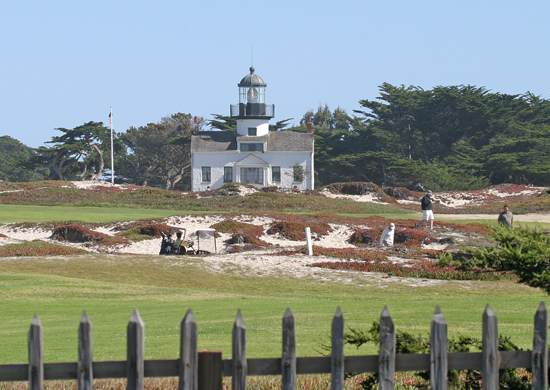 Point Pinos Lighthouse is located in the middle of Pacific Grove Municipal Golf Links. Alternatively, from Cannery Row in Monterey, follow Lighthouse Avenue west to the intersection with Asilomar Boulevard. 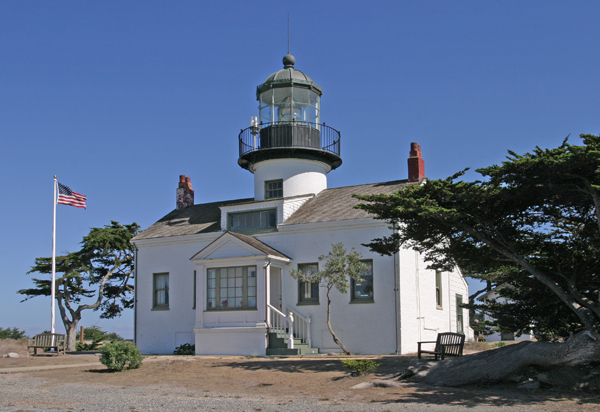 Point Pinos Lighthouse houses a museum owned and run by the City of Pacific Grove and is open from 1:00 p.m. to 4:00 p.m., Thursday through Monday. 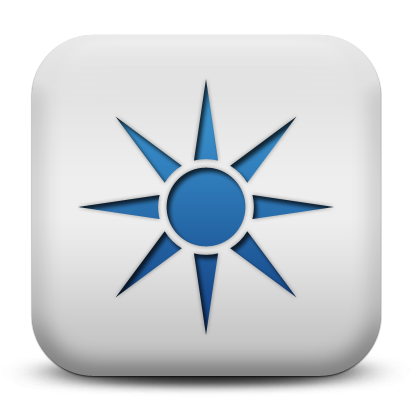 For more information regarding the lighthouse, call (831) 648-3176. The lighthouse is owned by the City of Pacific Grove. 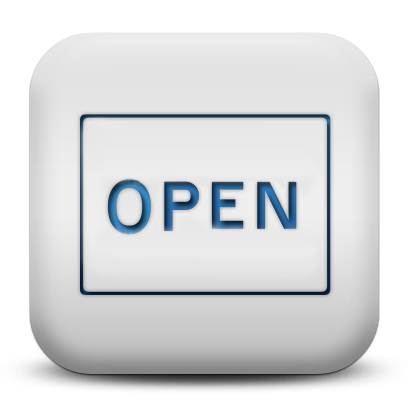 Dwelling open during visiting hours. If you are into golf as well as lighthouses, you might want to schedule a tee time at the Pacific Grove Municipal Golf Course. The lighthouse is located on an island of land surrounded by the back nine. While in the area, be sure and take in a drive along the beautiful Monterey Coast, including the famous Seventeen Mile Drive. The Monterey coast is like no other in California, and this lighthouse has a commanding view of some of the most beautiful real estate on God's green earth.